Anjunadeep is currently touring across North America and we had a chance to catch their stop in Boston earlier this week. Spearheaded by resident A&R label man Jody Wisternoff (who is no stranger to Anjunadeep) and supported by newcomers Yotto and Cubicolor (fun fact, Cubicolor is the side project of 16BL), the tour spans 12 dates across Nov and Dec including major and smaller markets like Austin, Chicago, and D.C. We’re thrilled that the label’s music has enough support to warrant this big of a tour! 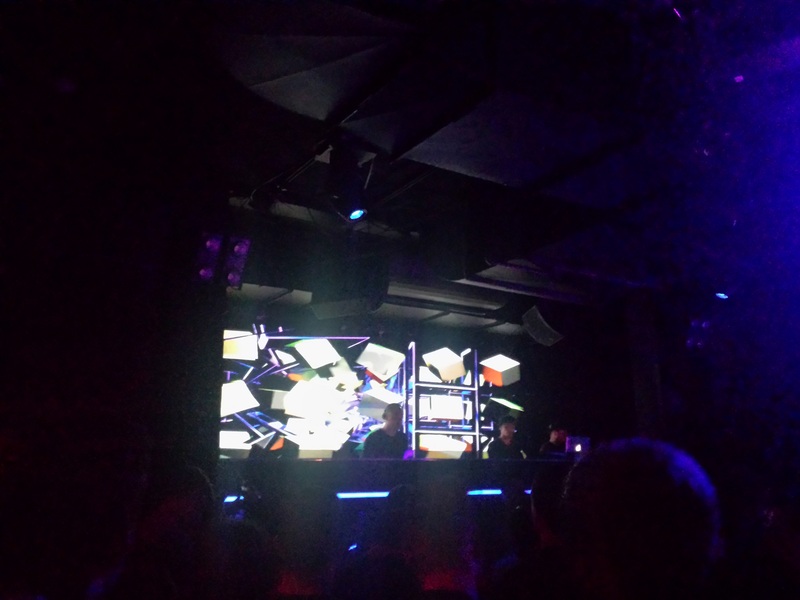 The night started off with an opening set from Yotto. Playing emotional and melodic originals like ‘Slowly‘, ‘ “>Wondering,’ and his new one ‘Personal Space,’ Yotto made for a great opening act that really set the mood. 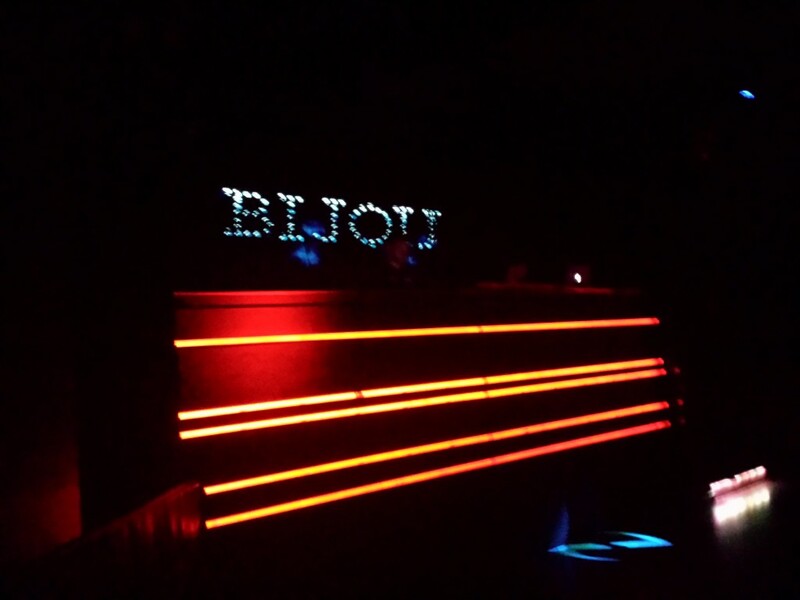 While the crowd was a bit thin for the first half, they definitely recognized his music, and Bijou quickly filled up just in time for Cubicolor to take the stage. Cubicolor took the decks around 11:45. We’ll be honest that we weren’t quite sure what to expect. Cubicolor’s back catalog is a bit confusing, as the tracks we fell in love with on the first EP ‘New Roads’ and ‘Next Planet’ have a very different feel from ‘Moments,’ and of course ‘Got This Feeling’ really stands alone (the crowd went nuts when they heard this vocal). We felt the set lacked a real cohesive journey and was a bit bass heavy for our liking. Finally, Jody took the stage, and there was a palpable sense of excitement in the air. Again we found ourselves surprised at just how well recognized he was – the majority of the crowd was clearly there to see him play. There’s a reason why Jody Wisternoff is so well regarded as a mentor and talent picker for Anjunadeep, and his ability to really guide us was on full display. 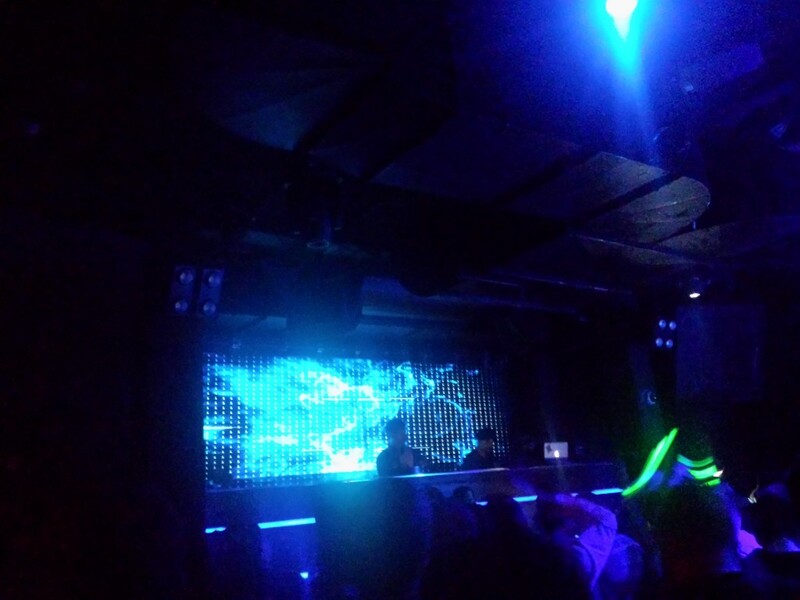 Dropping Nora En Pure – ‘Come With Me‘ and some of his Anjunadeep classics was the best way to end the night. Overall we had an awesome night. Make sure to catch Yotto, Cubicolor, and Jody Wisternoff as they finish off the remaining few Anjunadeep nights in North America. The Italian duo of Undercatt has been making waves the past year, with a big showing of support from the Diynamic music family. They’ve been making the rounds at all the festival events, and we’ve been really impressed by the recent sets we’ve checked out, like SW4 and supporting Solomun’s Ibiza nights. We weren’t sure if their bootleg of The Temper Trap ‘Sweet Disposition’ would ever get an official release, but here it is. 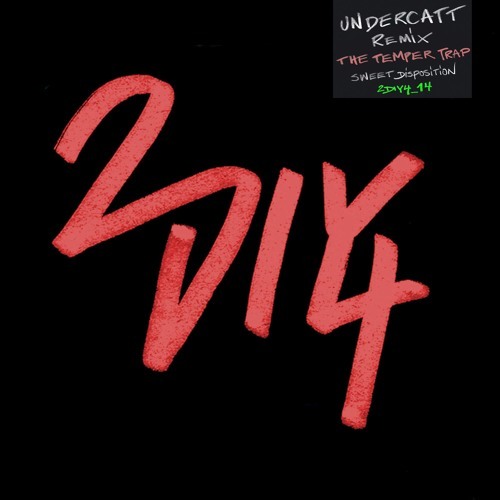 The Undercatt remix really injects new life into a track that we’ve all associated with EDM and Swedish House Mafia. Their rework overlays a dark and brooding bassline while really showcasing the beautiful vocals of the original. Take a listen below and let us know what you think! The Undercatt remix of The Temper Trap ‘Sweet Disposition’ is out NOW via Diynamic’s sister label 2DIY4! Here’s a new remix from French Express family member Isaac Tichauer, taking his shot at reworking the newest single ‘Like An Animal’ from Australians Tyrone, Jon and James aka RÜFÜS / RÜFÜS DU SOL. Deep house vibes a plenty with this one. 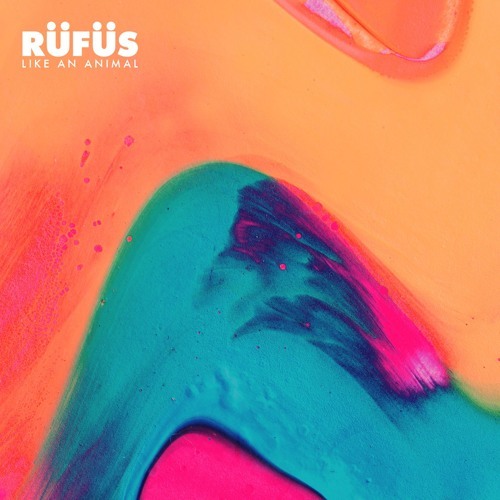 RÜFÜS – Like An Animal (Isaac Tichauer Remix) is out Nov 5 on Sweat It Out! Today we have something new from Jonas Rathsman, of French Express and ‘Wolfsbane’ fame. Jonas was one of the first french express artists we discovered and we can’t quite figure out why he hasn’t exploded in popularity yet. Though for the hipsters amongst us, that’s an OK thing ….maybe….Anyways, we’ve had ‘Wolfsbane’ on repeat since its release in March of this year. We loved the direction Jonas headed in and we knew more music would be due soon. Now in an interesting move, Jonas has signed to Kompakt with the release of a vinyl two track EP with ‘New Generation’ and ‘Conium.’ ‘New Generation’ is a much more sophisticated track focused around a dark bassline complimented by subtle bells. On the flip ‘Conium’ is an uplifting piece with a killer groove that bounces along. Overall we are thrilled to see Jonas continue to push boundaries and a release on Kompakt definitely fits the bill. 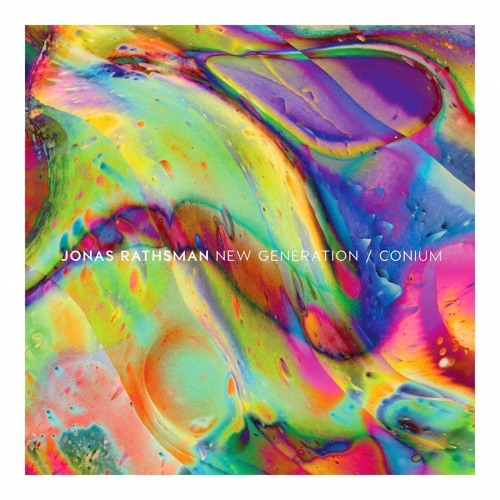 Jonas Rathsman ‘New Generation / Conium’ EP is out now on Kompakt! This year’s edition of Anjunadeep’s annual compilation album, Anjunadeep 07, came out about a month ago, and of course it was packed full of some standout tracks. Single releases will slowly trick out over the next few months, and we were surprised that one of our favorites was second in line. ‘Dawn To Dusk’ is the collaborative offering put forth by German Thomas Schwartz and Italian Fausto Fanizza. Many of you will recall that this is not the first time the two have teamed up for Anjunadeep, previously releasing their ‘Kirk’ and ‘You Would / Mad Dog’ EPs last year. ‘Dawn To Dusk’ caught our attention because of it’s beautiful piano-based melody, emotional vocals, and warm dancy groove. You can catch it as the second track in the most recent edition of Anjunadeep’s weekly mix series. ‘Dawn To Dusk’ is out now on Anjunadeep! You may recall that earlier in April of this year the Austrian duo of Anna Müller and Paul Wallner, known as HVOB, released their second full length album ‘Trialog’ on Stil Vor Talent. If you’re not familiar with ‘Trialog,’ we encourage you to take the hour to listen to it in full. 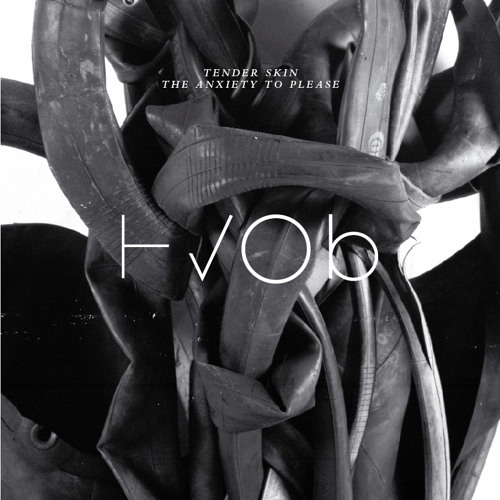 Since then, HVOB has released ‘Clap Eyes’ off the album as a stand alone single. Now two more tracks are out ‘Tender Skin’ and ‘The Anxiety to Please’ alongside killer remixes from DJ Tennis and Scuba. We first came across the DJ Tennis remix of ‘Tender Skin’ in his September episode of Beats in Space (which, by the way, also features some of his forthcoming material on Life and Death). The bassline in this remix is stunning and provides a perfect backdrop for the dark and moody vocals. Scuba’s remix of ‘The Anxiety to Please’ takes a softer approach but again does a fantastic highlighting the vocals. Check out both remixes and the originals below. Tender Skin / The Anxiety to Please (Remixes) EP is out now! Grab your copy over at Beatport today. This EP has been absolutely blowing me away this month. 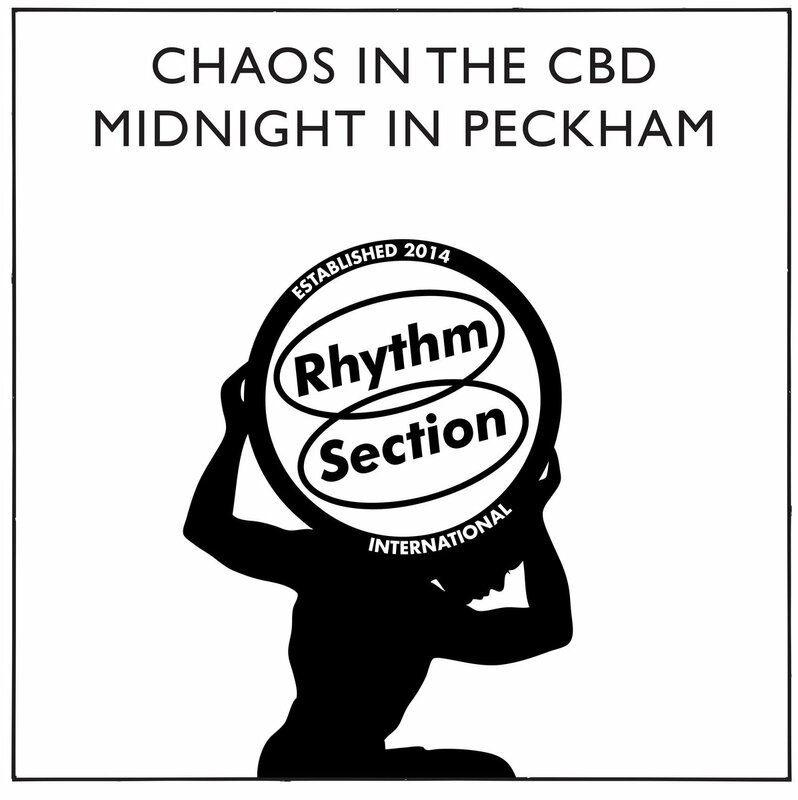 I became familiar with Chaos in the CBD through their earlier releases on the brilliant Parisian label ClekClekBoom, known for their stripped back House and Techno cuts laced with analog percussion and weird rhythms. This record is a different ball game though – released on the recently founded Rhythm Section International, it’s drastically more melodic, more layered, and more inclined towards the very heart of true Deep House. The real deal. The title track in particular, is a masterpiece. From the slightly distorted piano riffing to the gorgeously ethereal trumpet (recorded in-studio by one Isaac Aesili), this tune has more vibes than a bloody vibraphone. Euphoric, soulful, meditative, still groovy. The rest of the EP follows suit with a generally similar vibe. The focus, incontrovertibly, is on the piano. Every track features a beautifully recorded and sampled piano as its backbone, and the lithe, chilled-out house beats weave their way around those lounging chords and keys, jazzy and understated. Observe has a bit more bounce, and Luxury Motivation is ushered in by a fantastically treated sample, simultaneously tongue-in-cheek and genuinely relevant. This is house music, real as it gets, and proof that pop culture and its voracious gaze can take nothing away from those that feel it, the truly talented. Thanks very much to Chaos in the CBD for this one. Pick this record up at RSI’s bandcamp, and don’t forget to check out the rest of their modest but extremely high quality back-catalogue while you’re at it.